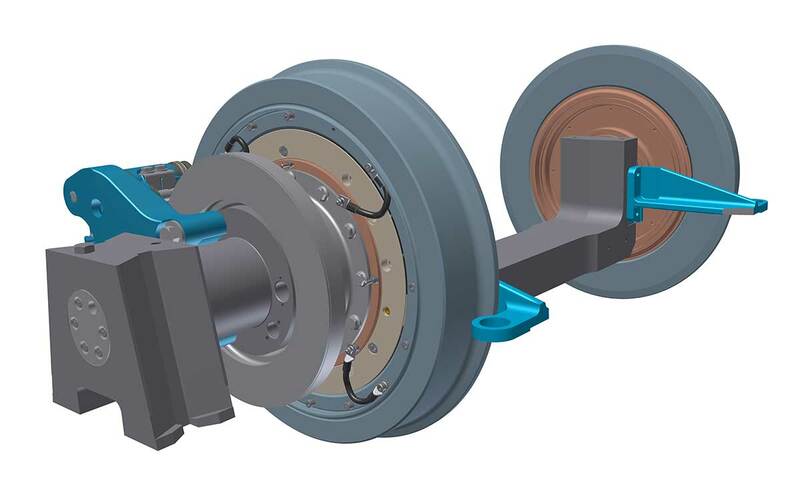 Our 13.5 tonne wheelset from the range of loose wheelsets is designed to provide a stable platform for low-floor tram vehicles with a width of 2.65 m. This makes one-piece forged loose wheel axles necessary, which are designed in a double-T-beam design to reduce the weight. The advantage of this design is maximum loading capacity combined with low weight and long service intervals. 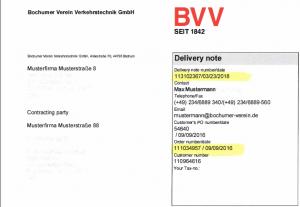 These savings were made possible by very close cooperation and partnership with the client. 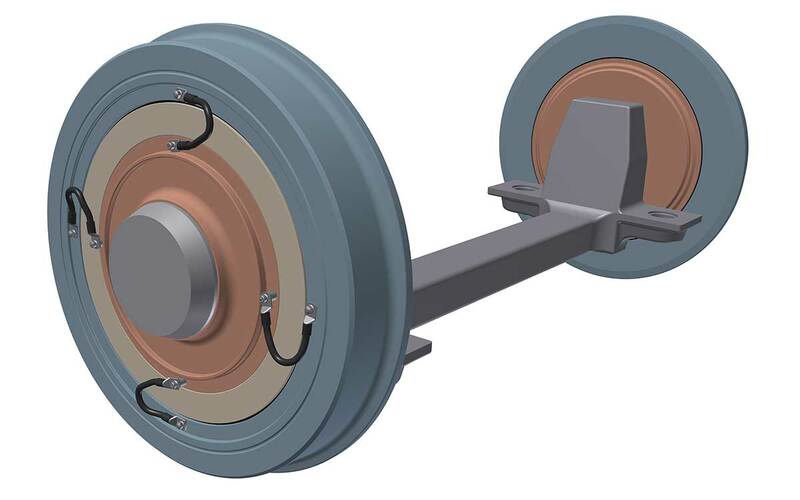 This 10.5 tonne wheelset for the standard gauge is designed for use with 2.65 mm wide tram wagons and can of course also be adapted to other track gauges. As a special feature, resilient Bo84 wheels have been installed to reduce the radial stiffness, which ensures the vehicles run particularly quietly and with low-vibration. 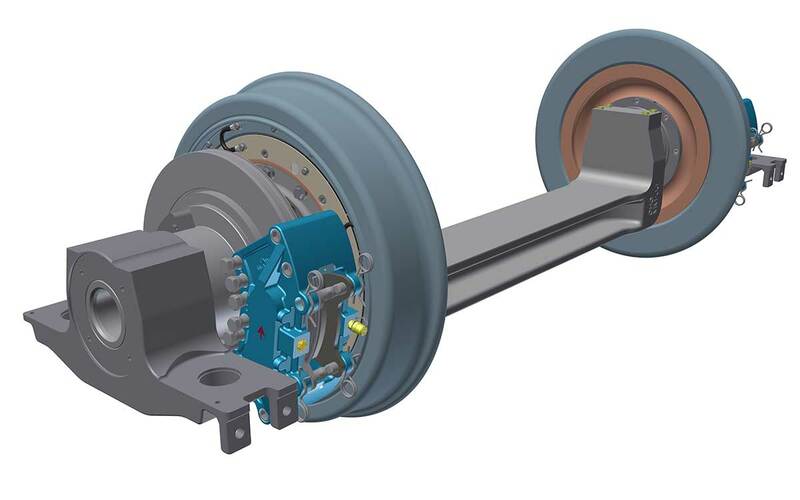 Designed for a payload of 8.4 tonnes, this loose wheelset is used as a base for 2.30 m wide low-floor trams. The required light construction loose wheel axle made of high strength steel in conjunction with the molybdenum-coated bearing seats are designed for maximum loads and long service intervals. Additional insert bearings and the like reduce the wheelset weight to less than 750 kg. Integrally forged axle bracket with molybdenum-coated bearing seats. Additionally sealed and pre-stressed insert bearings from the trailer area. Special power supply from the wheel tyre directly to the earthing contact. Resilient Bo 2000 type wheels, tread diameter 600/520 mm.